Alison Larkin Presents, 9781642552072, 274pp. "A quiet lyricism emerges from these stories and it serves to underscore their emotional impact. Ruben can touch you deeply--and he can break your heart." "EM Forester advised us, 'Only Connect.' But if he read Paul Alan Ruben's Terms of Engagement he'd have to admit that the task is more daunting in father-son relationships. The author's stories strongly plead the case that men today need to learn to better connect, better love each other and be loved." 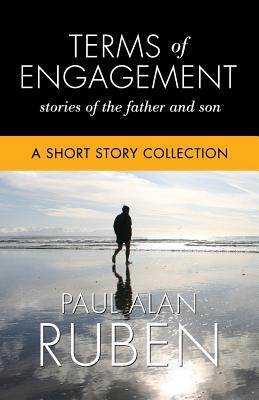 In his debut collection, Paul Alan Ruben, portrays father and son, both yearning to be understood, acknowledged, and validated by the other. Raw and gripping, these nine stories take place in collision territory, where father and son engage the other in uncertain terms, both desperately trying to repair the emotional damage that has led to their alienation. Inextricably linked by blood, each story pits a vulnerable authority figure--the father--before his vulnerable son, who derives neither protection nor emotional nourishment from him. At its core, Terms of Engagement delves into the heart of the matter: Who am I, as a father? Who am I, as a son? Who am I, as a human being?